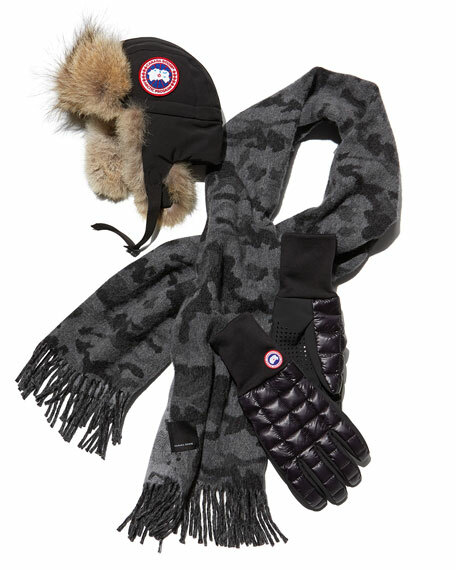 Canada Goose "Northern" quilted glove liner. Silicon grip details on palms. Extra-long cuffs to keep out cold. 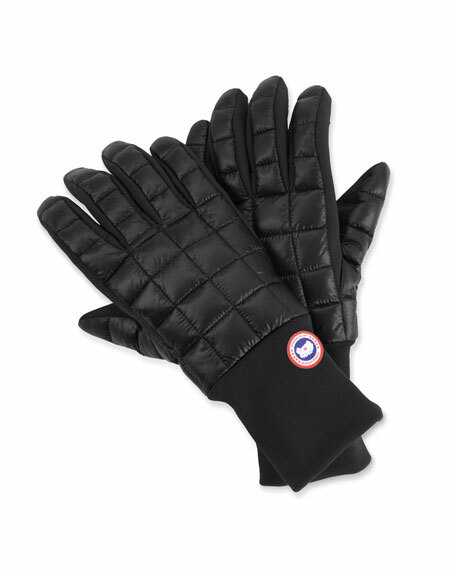 Canada Goose mittens with removable inserts. Mitt hooks in both sleeves. Elasticized drawcord at wrist. Approx. 13.5"H x 5.5"W. Nylon/spandex/polyester.